I've spent many an hour reading Gizzi's Kitchen Magic cookbook - each recipe with a little intro, either telling a story about the recipe itself or a little snippet about an ingredient within the dish. The Ginger and White Chocolate Cookies are inspired by Gizzi's sister Heni - a snippet I think really adds to the overall feel of this friendly and enjoyable cookbook. It not only makes the cookbook feel like it has a personality, but it really makes shows that Gizzi's inspiration comes from, not only many places around the world but from all aspects of her life. Anyway, enough rambling...because I seriously love her and could fan girl all day! 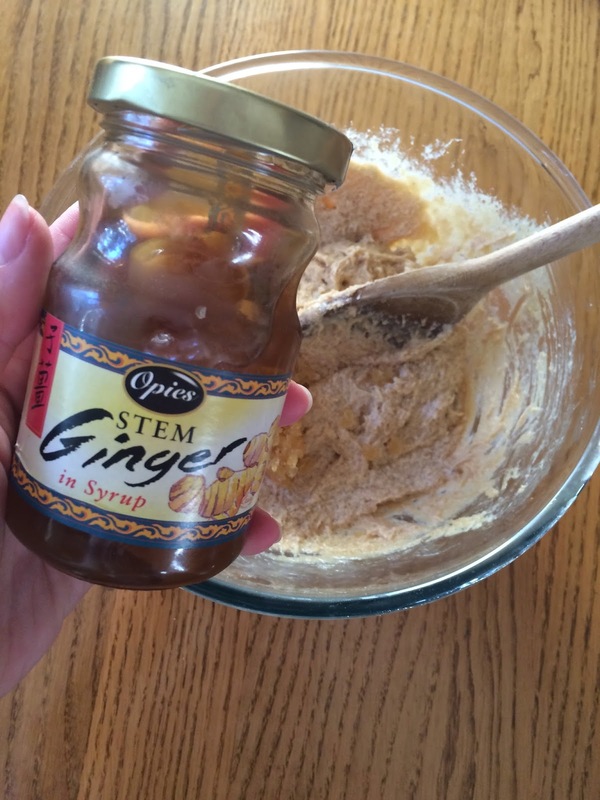 you can also add 1 tsp ground ginger, depending how strong you like the flavour of ginger. Preheat your oven to 180, fan assisted and line 2 baking trays with baking parchment. Place the softened butter and sugars into a fairly large bowl and mix together - the mix needs to be light and fluffy. Next add your egg and stir it into the mix. It may split, don't be alarmed as the flour brings it back together. 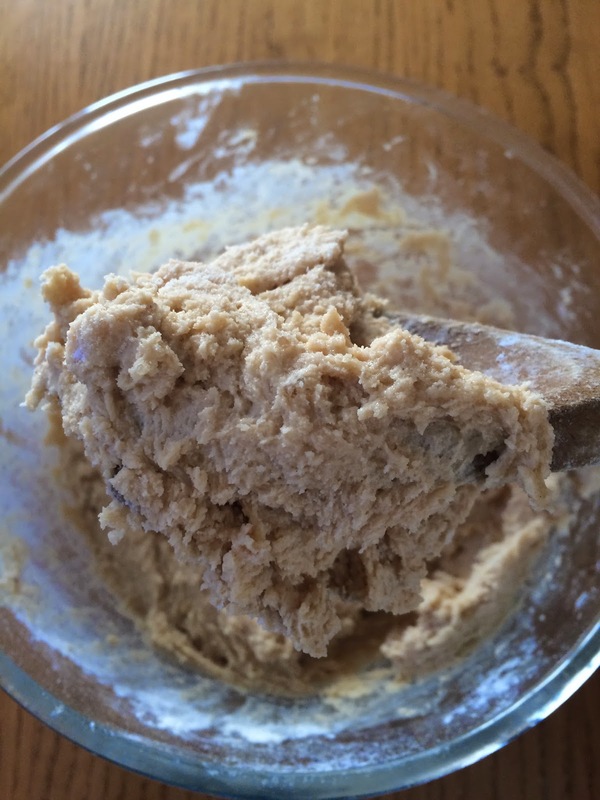 Add the vanilla extract ginger, flour, and bicarb then stir all together. I would recommend adding a little flour at a time or you will end up with a big floury cloud in your kitchen! Speaking from experience, as you can tell! Using a wooden spoon, stir in your white chocolate pieces - the mix will be slightly sticky rather than doughy but that's okay! Spoon 6 'heaps' of the mix onto each baking tray using a dessert spoon. I tend to leave my heaps fairly...well, heaped. The mix will expand anyway but it gives a slightly thicker cookie with a soft but chewy centre. Try your best to leave these to cool before tucking in - leaving them on a wire rack is probably best so they don't sweat and seem greasy. THEY ARE SO GOOD!! Genuinely, probably my favourite cookie I've ever made and I've made many a cookie! Gizzi suggests replacing the ginger with the zest of 1 orange, the white chocolate with milk chocolate and adding 50g chopped candied orange peel for a Terry's Chocolate Orange kinda thing, which I 100% want to try! Let me know what you think?! I cannot get enough of these at the moment. Those look amazing and I love ginger too! These look so amazing! 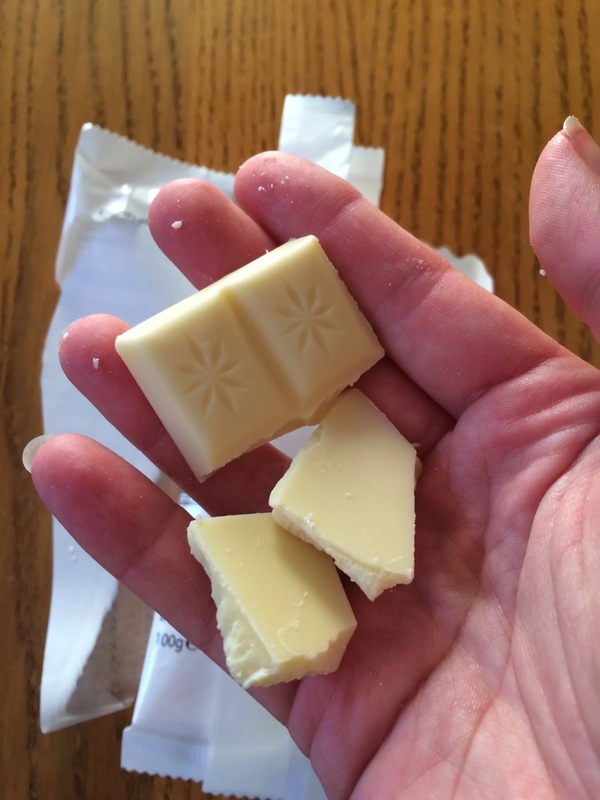 I mean, look at that white chocolate...*drolls* I'm very glad you put this up, definitely want to give them a go!! :) My family love ginger too so they'll be happy!